The first step to helping kids know how to calm themselves is to teach them to understand what to watch for when they become angry. Anger causes physical things to happen in our bodies. 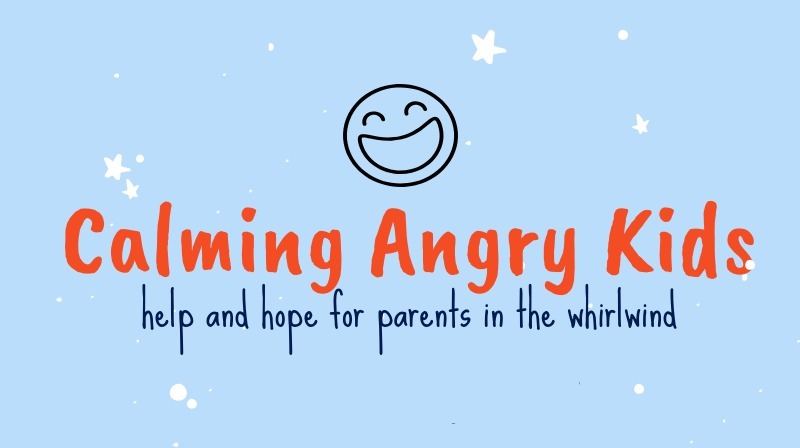 As children’s anger rises, their bodies respond in specific ways. Knowing these body cues—in addition to understanding negative thought patterns—can sharpen your child’s awareness of what’s happening inside. Your child can then work to pause long enough to understand his or her emotions and choose ways to calm him or herself, instead of getting mad. Click here to get the list on Amazon. Talk to your child about things that help him or her calm down and add to the calm bag. Also, make a list of other things that help like taking slow, deep breaths or counting to twenty. Items or techniques can be added to the calming bag over time. Thank you for joining us for the Calming Angry Kids series. Pre-order your copy today and prepare your hearts for when anger strikes.